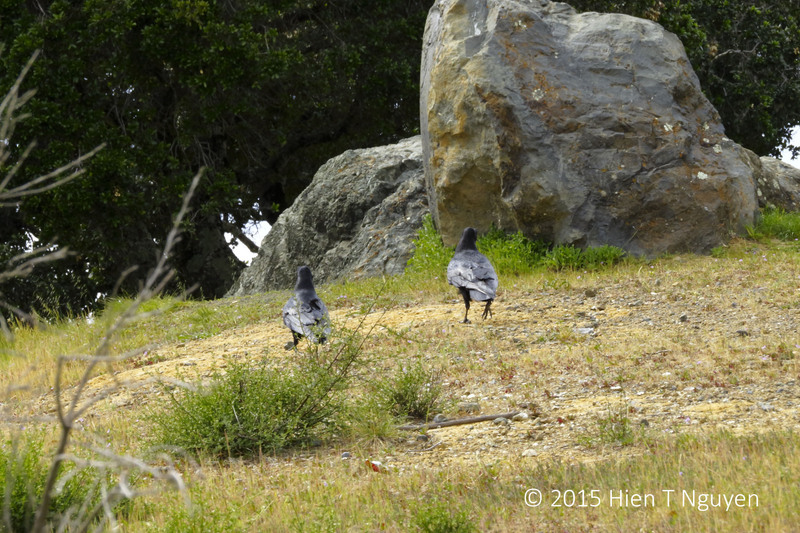 A little more than two weeks ago, at the Vista Point on I-280 near San Carlos, CA, while taking pictures of the scenery I saw a couple of ravens behaving strangely, at least for me anyway. 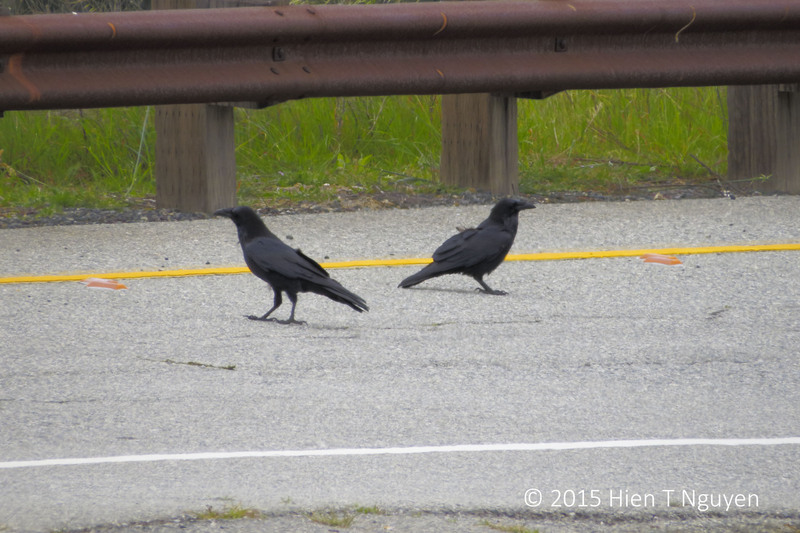 Raven: I am assuming it’s a male. 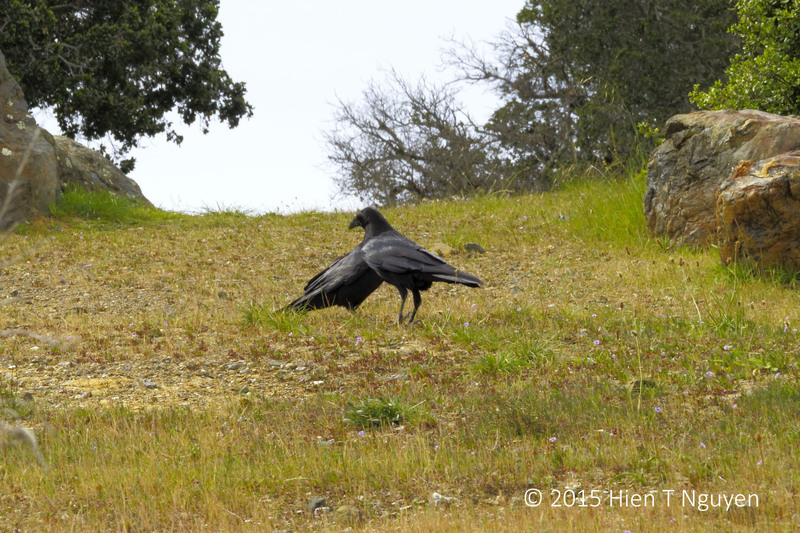 The male raven flew toward another raven, a female presumably. They introduced themselves. Then they each went their way. A few minutes later, they were at it again, at a different spot nearby. Finally, the couple separated for good. 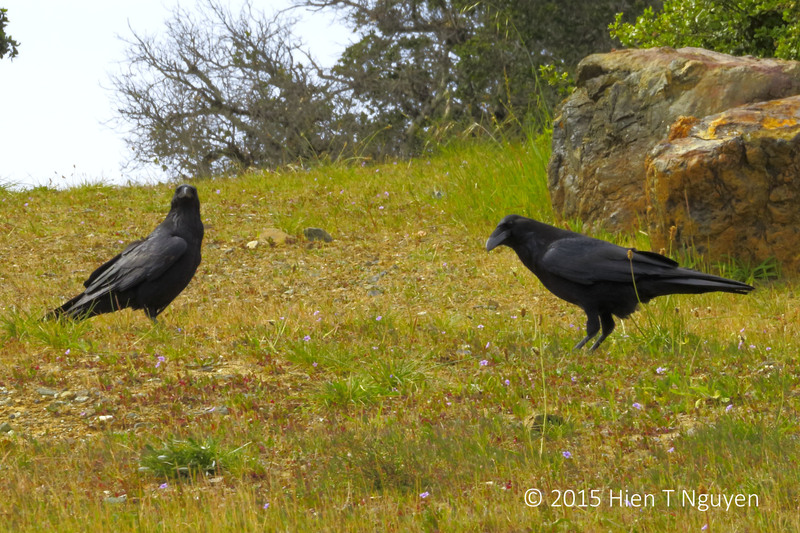 If any of you is a bird expert, please tell us what was happening there between the ravens. 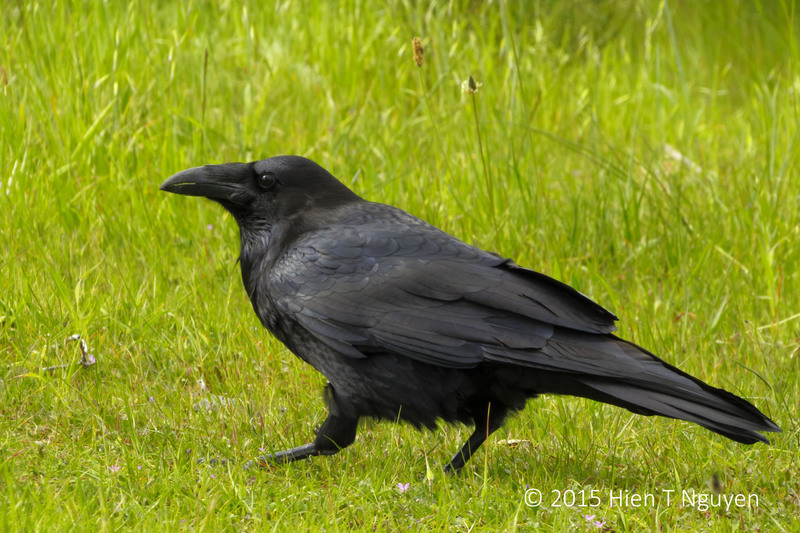 Gorgeous raven post Hien Dear!The first raven portrait against the bright green grass is absoltely fascinating and so are the rest of the “narrative scenes” !!! Thank you Doda. I guess if we spend enough time watching birds, we’ll eventually understand their “language”. They’re pretty smart birds. They may just be plotting to take over the world. You could be right. One of them was jumping up about two feet in the air proclaiming himself dictator for life! You are right, it’s mating season and that’s the kind of behavior to expect. Thanks Amy! A cute short love story. That may be it. Thank you for visiting and commenting. Thanks Helen. I wish we have a raven expert that could tell us what happened there. 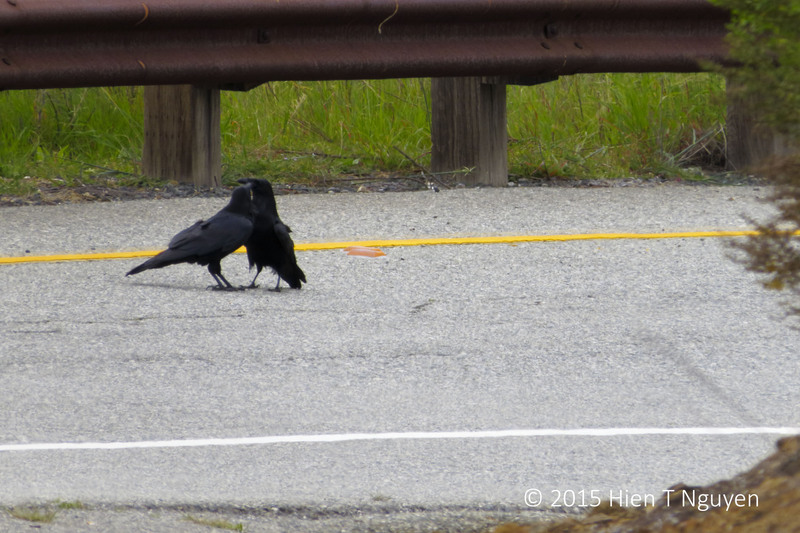 They might just have agreed on another date away from the road 🙂 I saw a raven carrying nesting materials today also.